The Weymann Co. produced a fine quality banjo during the jazz age, and many musicians of the day played these instruments. 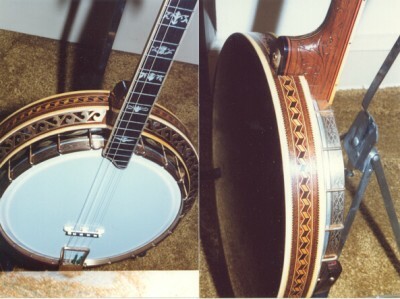 However, it was difficult for the Company to keep up with the more popular Bacon, Vega, Gibson, Paramount and others, and so consequently, a top Weymann banjo today is quite a rare find. 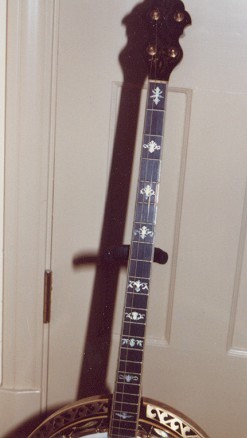 Weymann banjos used construction features not found on any other make. The rim uses ten layers of laminated wood, tapered to give a megaphone effect. The tone volume was magnified and carried a great distance. All the brackets were encased and countersunk, so that the outer surface of the rim is perfectly smooth. 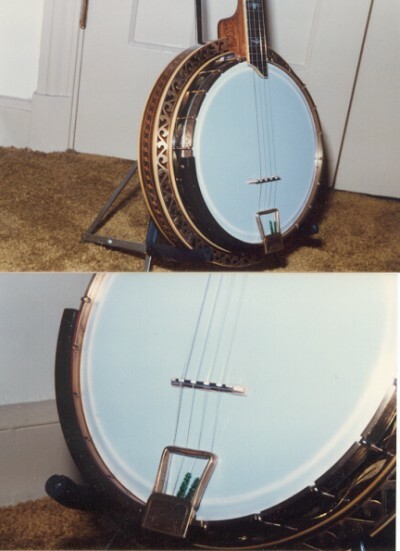 Another innovation is that the distance between the fingerboard and strings may be adjusted at will by the turn of a nut in the center of a brace on the dowelstick. 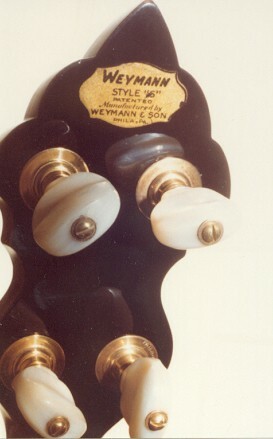 The # 6 plectrum featured here is one of the top-of-the line Weymann's with a serial number of 46266, indicating a 1931 date.